1960: Secret Storm's Susan wanted Amy sent to private school. 1962: CBS' brought back The Clear Horizon. 1980: Edge of Night's Raven fought with Logan. 2002: Mary Stuart's final GL episode aired. 1960: On The Secret Storm, Amy Ames (June Carter) was upset at the prospect of going to private school, an idea suggested by her sister, Susan Ames Dunbar (Mary Foskett). 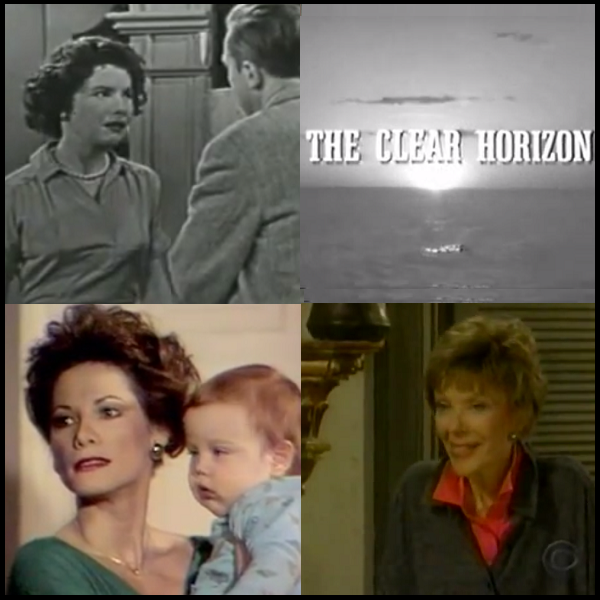 1962: CBS daytime soap opera The Clear Horizon returned after being off the air for nearly a year. CBS canceled the show a 12 months earlier, with what was thought to be the final episode airing on March 10, 1961, but resurrected the show after an avalanche of complaints from viewers. The series was written and produced by a former Navy Officer, Manya Starr, and told the story of a young Air Force Officer and his wife who lived at Cape Canaveral. 1964: On Search for Tomorrow, Joanne (Mary Start) told Stu (Larry Haines) that Isabel had been spreading wild rumors by claiming that Patti had an affair with Isabel's husband. In the meantime, Patti wanted to delay her marriage to Brad because of Isabel's claims. Brad agreed to postpone the wedding, but ultimately wanted Patti to forget about Isabel's vendetta and concentrate on their upcoming life together. 1973: On The Doctors, Dr. Hank Iverson (Palmer Deane) fretted about his current position to Dr. Mike Powers (Peter Burnell). 1979: On Ryan's Hope, as Siobhan (Sarah Felder) and Jack (Michael Levin) continued to search for the problem with the furnace the representative from C&P realty called Pyle to find out what he should do next. Pyle told him to lock them in the boiler room with the overheated furnace moments before leaving to warn the others in the building to get out. 1979: On All My Children, Jeff was convinced by Christina to buy a house in the community, Donna was upset by her delirious husband's confession of love for another woman, and Paul tried to convince Benny not to trust the legality of "quickie" divorces made in Latin America. Donna resolved to stay with her husband Chuck in spite of his love for Tara, Devon went into labor while alone and isolated in a snowbound house with only Wally there to help her, and Tara and Phil decided to remarry. 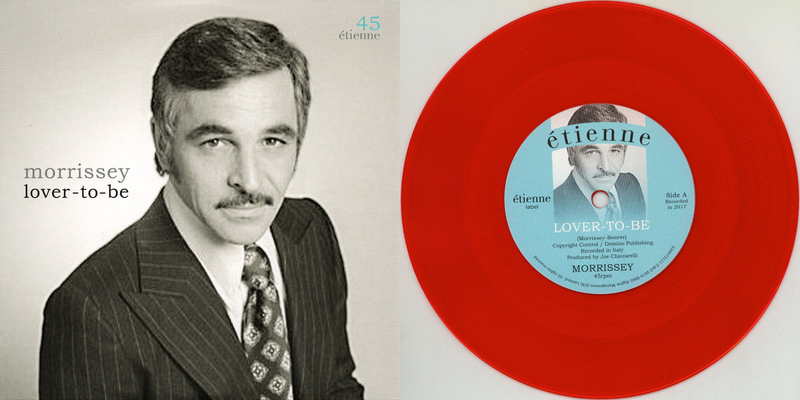 1979: On One Life to Live, Llanview was upset by the arrival of Mario, a brother who eerily resembled his murdered racketeer brother Marco. Meanwhile, Jenny's husband had to face his serious gambling problem, Mario investigated the unsolved murder of his brother Marco, Carla (Ellen) and Jack (Arthur Burghardt) celebrated her birthday, and Tina and Greg kissed each other in a closed diner. 1979: On General Hospital, Audrey (Rachel Ames) revealed to Jeff (Richard Dean Anderson) that the dying Steve Hardy was his real father. Scott (Kin Shriner) and Bryan paid a visit to Scott's fiancee. Steve Hardy then began to recover from his severe illness and Jeff started adjusting to the knowledge that Steve was his real father. Later, Scott and Bryan confronted Scott's ex-girlfriend. 1979: On The Edge of Night, April got a premonition that her long-missing mother would visit her soon. Meanwhile, Monticello tried to recover as a strange cult called "children of the earth" was dismantled and its leader arrested. 1980: On The Edge of Night, Raven (Sharon Gabet) had a huge confrontation with Logan. 1981: On Another World, Mac (Douglass Watson) worried Rachel (Victoria Wyndham) and Jamie's (Richard Bekins) relationship might be ruined if she talked to Jamie about Cecile. 1986: On Search for Tomorrow, Henderson residents fought for their lives after a devastating flood destroyed the town. The show debuted its final new opening sequence. 1988: On General Hospital, as Grant Putnam was taken into custody, he screamed about Anna (Finola Hughes), "I hope she dies!" Anna cried and collapsed in Robert's (Tristan Rogers) arms. 1993: On The Young and the Restless, Mary (Carolyn Conwell) lectured Paul (Doug Davidson) about his lack of interest in April. 1993: Actress Constance Ford, died at age 69. She played Ada on Another World for nearly 26 years. Below is a clip from the episode of Another World that celebrated Ada's life. Note: Read our interview with Robin Strasser (AW's original Rachel) where she talks about Constance Ford here. 1999: Drake Hogestyn and Deidre Hall hosted the 15th Annual Soap Opera Digest Awards. The ceremony featured a tribute to the late Michael Zaslow. Watch below. 2002: Legendary actress Mary Stuart aired for the final time as Meta Bauer on Guiding Light. Stuart passed away two days later.